I’ve had an issue a couple of different times with my Whirlpool Duet Dryer and it concerns me. Three different times, there has been enough lint accumulated in the lower compartment that it caught on fire. I’ve checked the exhaust vent and clean it regularly, same for the bottom compartment. Still, it seems like a considerable amount of lint makes it down to the bottom compartment. What happens then is that the lint catches fire and burns for a small time, melting the thermal fuse and shutting the gas valve down. My question is: Is this normal or am I missing a part (like a burner shield or something)? We clean the lint screen every load. One issue I suspect is that the felt seal on the front of the drum is failing (I can see it hanging out in a couple of places). Would that cause this problem? It also seems to take a considerable amount of time for our dryer to get our clothes dry (two-99 minute cycles per load usually does the trick). What a timely question– I just wrote about this very scenario in the January issue of my award-winning newsletter, Appliantology: How to Use Your Dryer to Get Out of Your Mortgage. That issue was such a home run with the jingle mail crowd that I did an encore presentation in the February issue: A Visual Guide to Dryer Vent Proctology. BTW, if you’re not a subscriber to our free newsletter, Appliantology, you’re really missing out on Special Samurai Secrets™ like the ones mentioned above and much, much more! Subscribe to Appliantology today! For the average homeowner, it probably makes more sense to buy and install a product like the LintAlert dryer vent monitor. It’s a lot less expensive that the tester I used in the video above and, once you install it, there’s no set up rigamarole to do– it just quietly monitors your dryer vent as you use it and lets you know if there’s a problem as it develops. 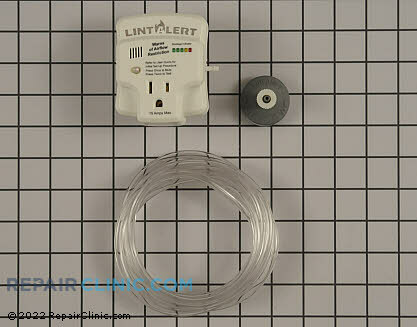 It monitors the dryer vent system and displays a percentage of blockage. And LintAlert works with both gas and electric dryers, despite what you’ll read at the RepairClinic site where it says, “For gas dryers only.” This is not true. It works the same exact way on both gas and electric dryers. For electric dryers, you’ll need to plug the LintAlert device into a nearby 120vac outlet, the washer outlet will work just fine. This entry was posted in Dryer Repair, Repair Video on March 26, 2013 by Samurai Appliance Repair Man. In this is exciting installment of Appliantology Live™, Samurai Appliance Repair Man goes undercover as The Appliance Guru and kicks some major appliance boot-ay on a GE refrigerator that’s lost its cool. This entry was posted in Refrigerator Repair, Repair Video on March 16, 2013 by Samurai Appliance Repair Man. This entry was posted in Refrigerator Repair, Repair Video on July 16, 2012 by Samurai Appliance Repair Man. Hi! Hope you can help me. My ice maker quit working. 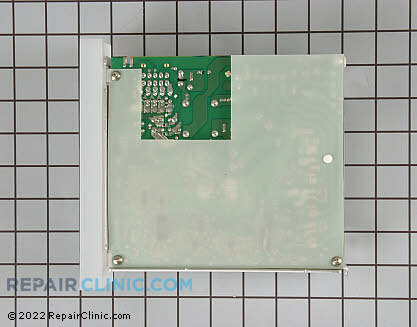 Do you have a repair manual with a full schematic which I could use to aid in trouble shooting? If so, can I purchase one? I can do waay better than a stinky ol’ manual– how’s about a Samurai Original™ how-to repair video? BTW, I just covered this very topic in the last issue of our award-winning, internationally-acclaimed newsletter, Appliantology: The Oracle of Appliance Enlightenment. You should subscribe so you don’t miss out on future pearls of appliantological wisdom ==> http://newsletter.fixitnow.com and download your free report on appliance brand recommendations! Every issue is jam-packed with appliance repair tips and inside information direct from the Samurai’s fingertips to your engorged and tingling eyeballs. This entry was posted in Ice Maker Repair, Repair Video on June 27, 2012 by Samurai Appliance Repair Man. The Whirlpool modular ice maker is the most commonly used ice maker in refrigerators today. You’ll even find these ice makers in non-Whirlpool refrigerators. If you’re a professional appliantologist, this is the ice maker you’ll most frequently encounter on service calls. This entry was posted in Ice Maker Repair, Refrigerator Repair, Repair Video on June 23, 2012 by Samurai Appliance Repair Man. This entry was posted in Oven Repair, Repair Video on June 22, 2012 by Samurai Appliance Repair Man. This client called in with a complaint that his Whirlpool Duet Sport washer, WFW9150, was full of water and would not pump out. He was also getting the F9 E1 error code which corresponds to this problem. About 72.4% of problems are caused by something stuck in the pump, jamming the impeller. About 27.3% of these problems are caused a bad pump. The remaining 0.3% of these problems are caused by the pump not getting voltage which could be a bad wire connection or bad controller. Watch with befuddled amazement as The Appliance Guru expertly disassembles the pump, plucks out a broken piece of hair clip that was jamming the pump and restores this machine to its design function. This entry was posted in Repair Video, Washer Repair on June 22, 2012 by Samurai Appliance Repair Man. This client contacted me at 9pm via email using the Service Call Request form at my service website, ApplianceGuru.com. I was there the next day to repair the no-spin problem with her washer. In this video, I explain a couple of short cut techniques for diagnosing a bad door latch assembly in this washer. I had a replacement door latch assembly on my service vehicle and got her fixed up in one trip. That’s SOP for The Appliance Guru! This entry was posted in Repair Video, Washer Repair on June 21, 2012 by Samurai Appliance Repair Man.